The T-28 Trojan lives on as one of the most popular piston-powered warbirds in the US. It began service for the US Air Force and Navy in the 1050’s and was continued to be used by the Navy as a trainer up until 1984. This plane is a great step up from a 3 channel plane because it’s easy to fly and it’s light weight makes it more resistant to breaking. 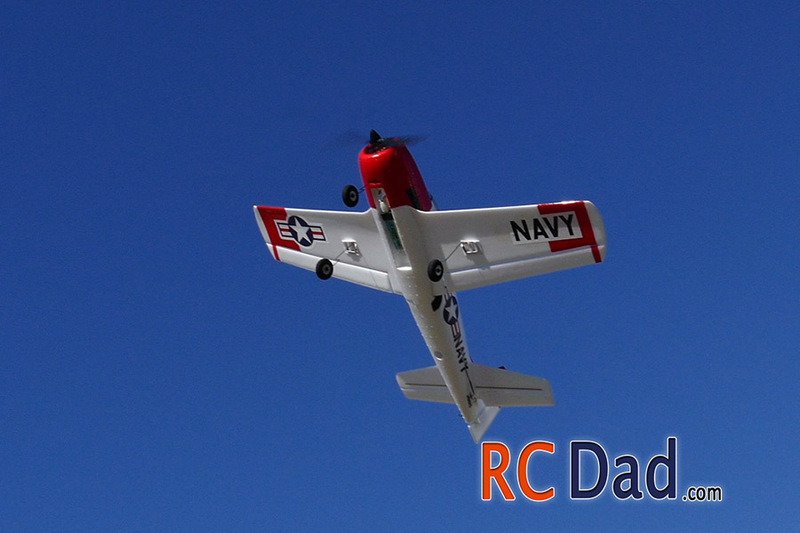 It’s still fragile and will need to be taken care of when stored but these micro planes can take some pretty sloppy landings and not require repairs every time. I wouldn’t recommend it for your first airplane because it might be a little too quick. Another great choice for someone getting into 4-channel planes would be the Sport Cub S. I have some good flying footage showing how easy that plane is to land with one camera on the controls and one on the plane and I’ll include a link below. The big difference between the two, is that the Sport Cub has AS3X and SAFE mode which stabilizes and will actually level out the plane when you let go of the controls. If you’re still new to flying I would say the Sport Cub S is a better choice because of the “SAFE” mode which can really help a beginner pilot get out of a bad situation. 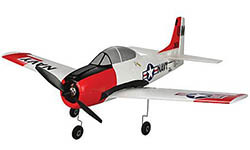 The T-28 gives you full 4-channel control and a steerable nose wheel. It flies extremely well for an Ultra Micro plane. I thought it would be difficult to fly since this one since it doesn’t have AS3X to help stabilize it but I was very surprised at how well it handled in both calm and windy conditions. This is due to its dihedral wings. Dihedral wings will increase a planes stability and decrease its roll. When one wing dips down, it will generate more lift, pushing it back up. Most aerobatic planes and fighter jets will have straight wings like the UMX F-16 that I also reviewed. This will give them more performance but make them harder to fly. The T-28 will still do rolls and loops but becomes unstable when flying upside down. So make sure you have plenty of altitude if you’re doing aerobatics. The wings have a pretty large curve which creates a lot of lift so when you’re doing rolls, get some speed then point the nose up before the roll and expect to lose some altitude! The power isn’t overwhelming but the plane is light enough to climb pretty fast. The power to weight ratio is good and even at full throttle the torque from the propeller isn’t bad at all. One of the first planes I tried to learn on was a Spitfire and the torque cause the plane to roll to the left, stall and crash. 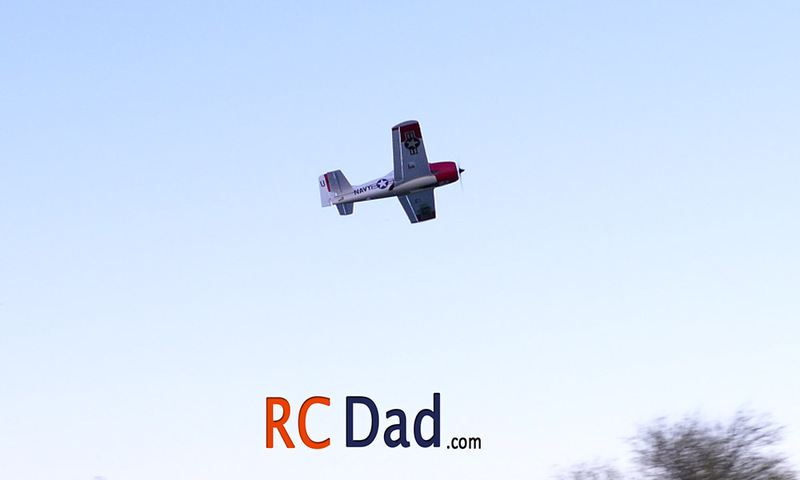 One of my favorite things about the T-28 Trojan is its slow flight performance. Stalls are very gentle, predictable and easy to recover from unlike a lot of war birds and jets. 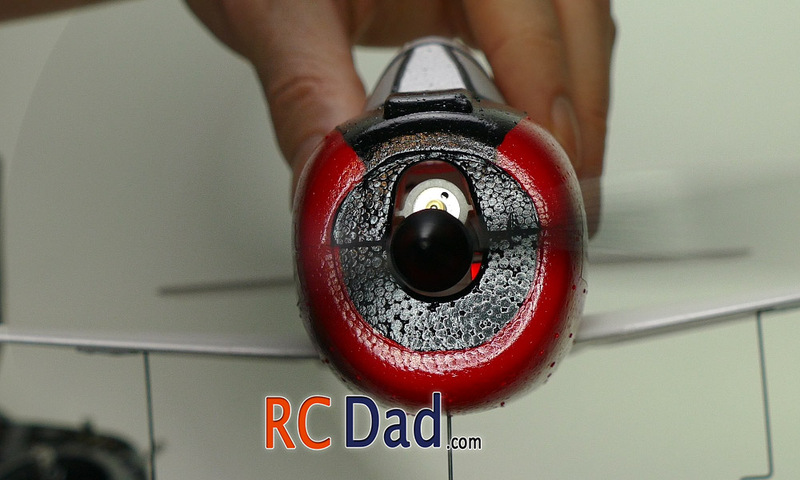 The ailerons on the wings are big allowing for good control at slow speeds. This also allows this plane to be flown almost anywhere. 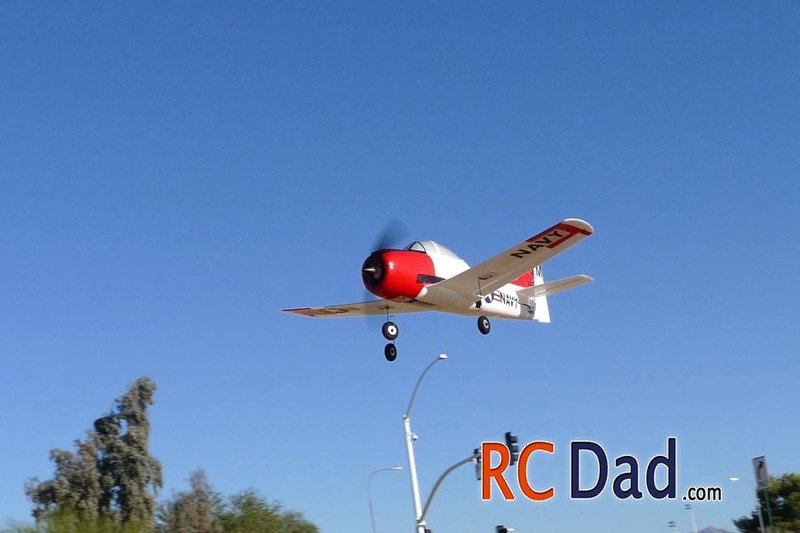 One of the main reasons people buy this plane is to fly in small parks, or even your backyard. The convenience of being able to fly this small plane in a much smaller area has made me a better pilot because I get a lot more opportunities to fly. Plus extra batteries are small and affordable at around $5 bucks a piece. I can easily fit 5 of these batteries in my pocket and with flight times around 6 minutes, you’ll get 30 minutes in the air with just 5 batteries. 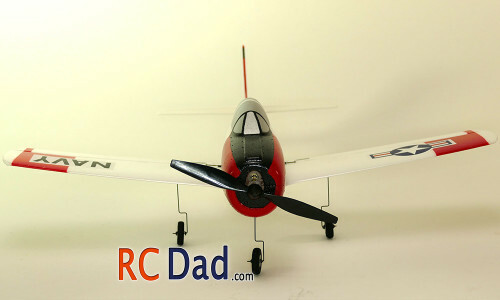 Require a Spektrum DSM2 transmitter and I highly recommend the DX6i which will run you $130, it’s compatible with most BNF planes like this ParkZone T-28, e-flite B-17, Horizon Hobby Sport Cub, and a lot more. thanks for the review!! 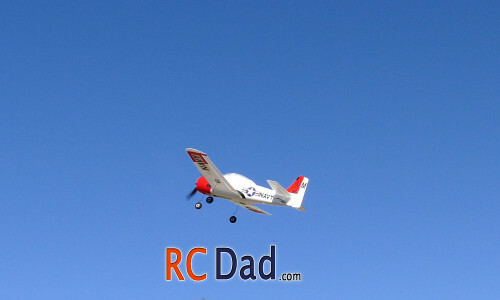 Really cool plane just got it for my son and he LOVES it! Next I would reccomend the UMX icon A5 BNF plane. IT handles like a trojan but looks beautiful in the air. Its and anphibian plane too. Plus, its only $159.00! When is your next review gonna be? Hopefully Monday! It’ll be a quadcopter review. I’m behind on my airplane reviews but hopefully I’ll have some rc plane reviews up next week. 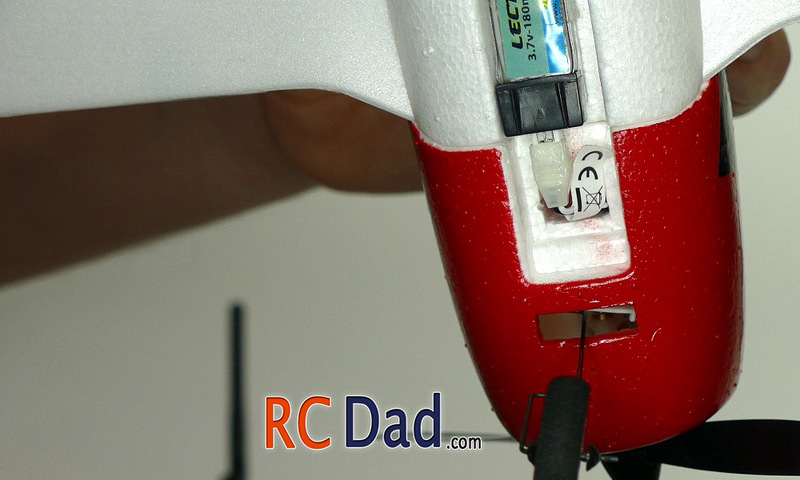 What’ll your next review of an rc plane be? If your having trouble, think about flite test, they sell very good foam mini kits.